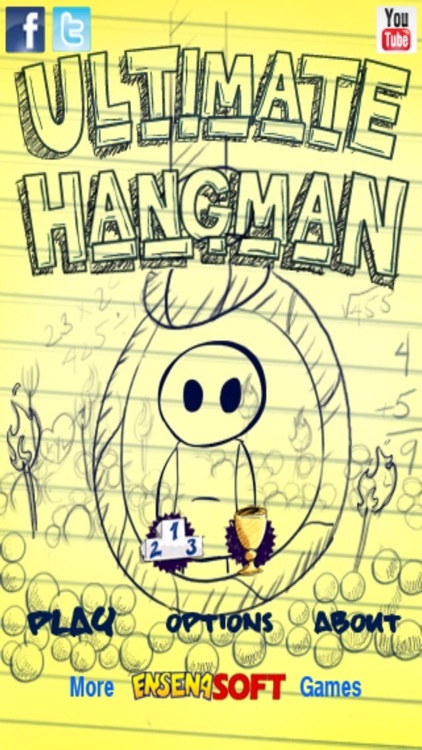 These games present the classic game of Hangman in which you guess letters to try to figure out the given word. 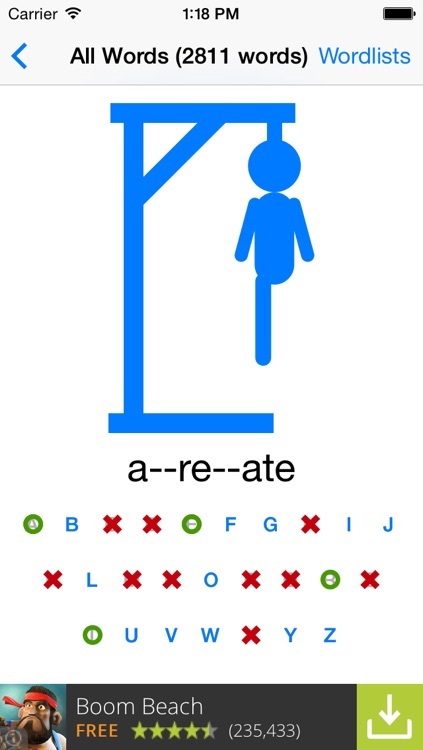 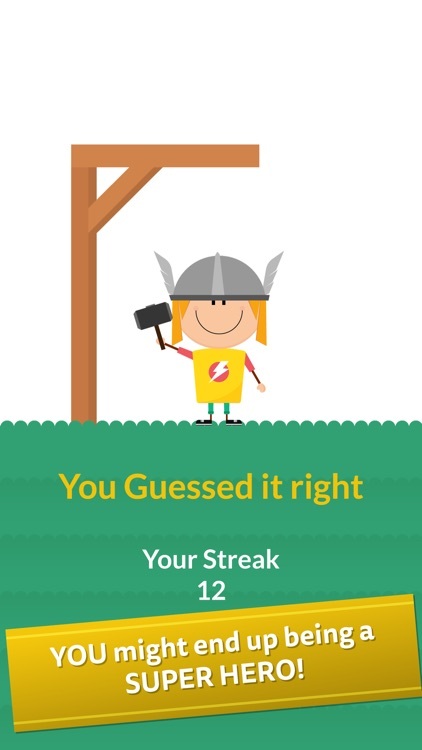 Each incorrect guess adds on part to the hangman, and you need to guess the word before you're hung. 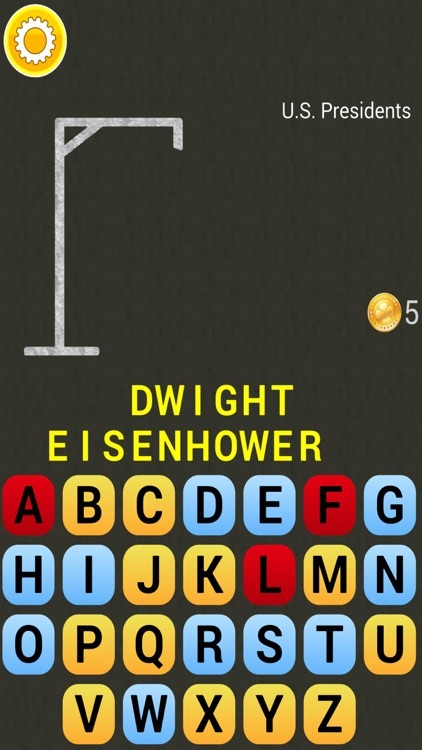 Play thousands of FREE challenging phrases while learning something new from each game's FREE educational notes and facts. 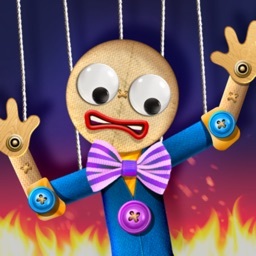 Enjoy hours of fun with beautifully crafted puppets and scenes filled with delightfully humorous danger! 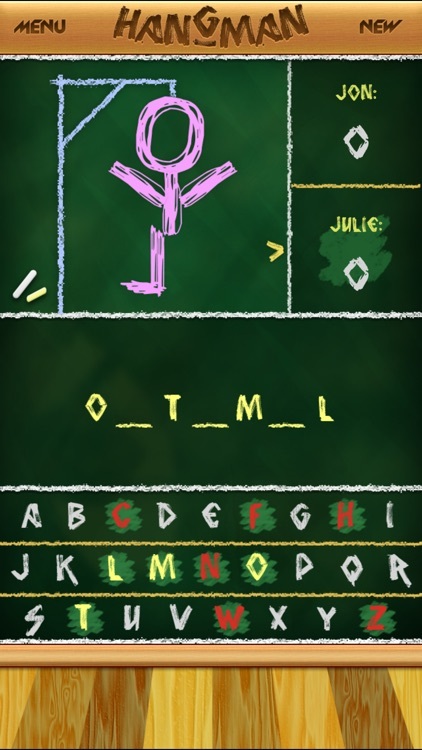 Ultimate Hangman Go is a must have hangman game with 4 awesome themes (Doodle Hangman, Chillin' Chalk, Christmas Snowman and Flower Power), 11 great songs and 73 word categories including 7 random modes. 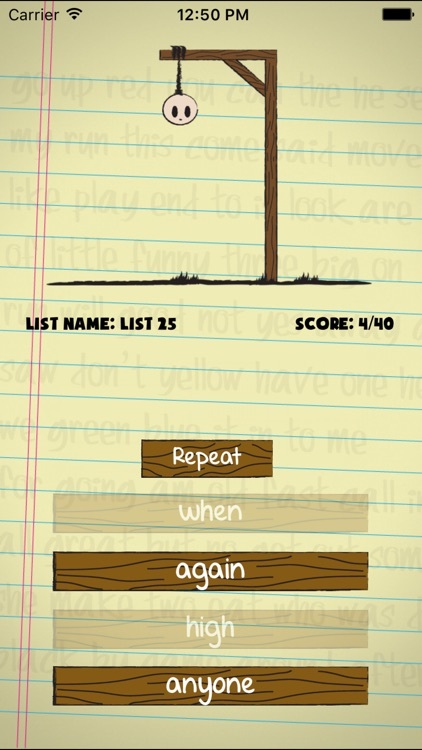 ► RANKED GAMEPLAY: start from the amoeba and reach the highest level! 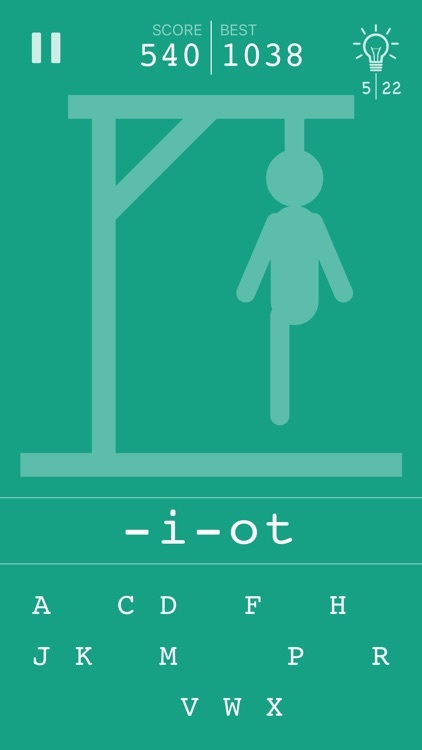 Are you good at spelling? 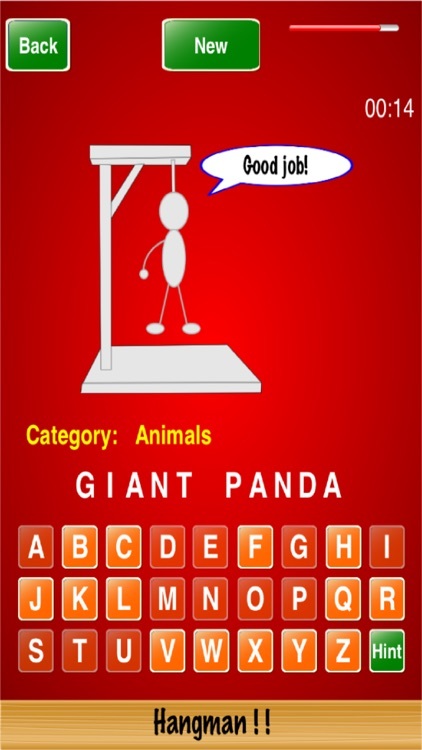 Download this game to find out how strong your vocabulary skill really is. 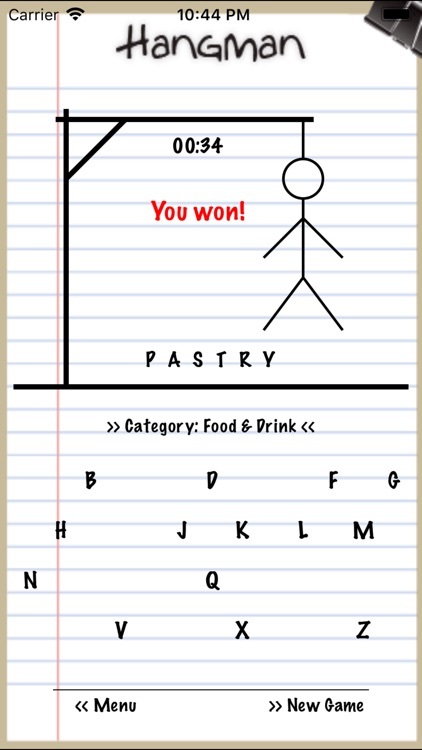 You can test your mastery with words from different categories. 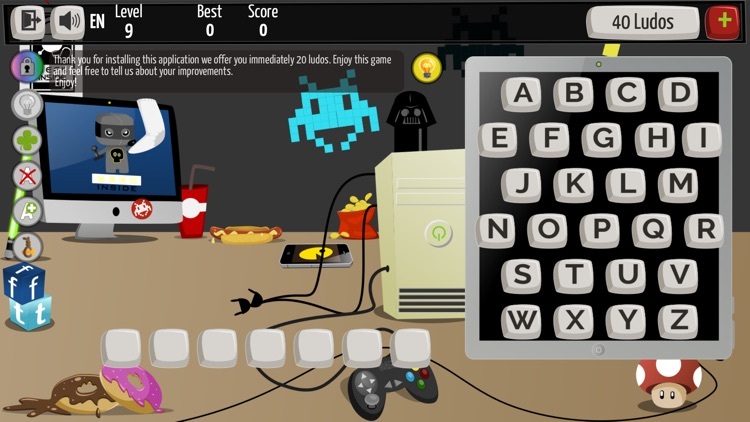 Just choose your favorite category and press start. 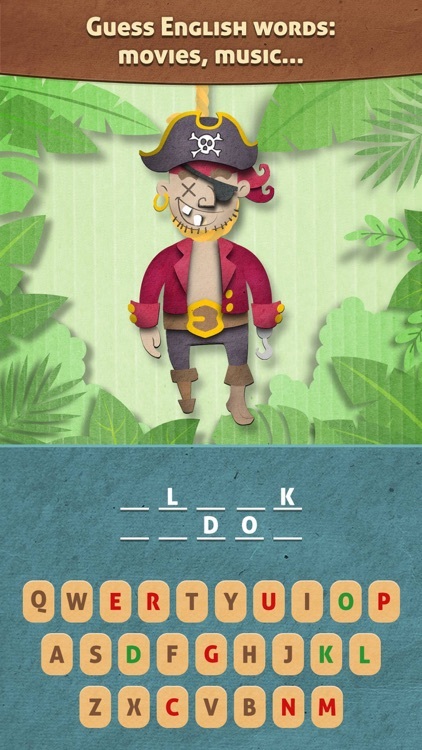 Try different letters to discover the right answer while avoiding the more improbable ones. 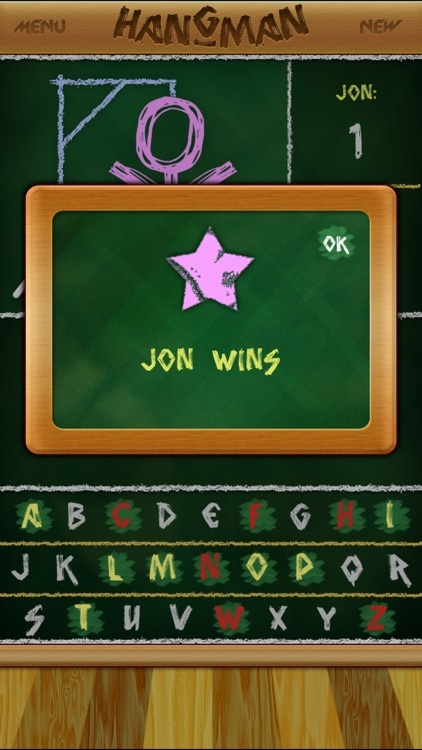 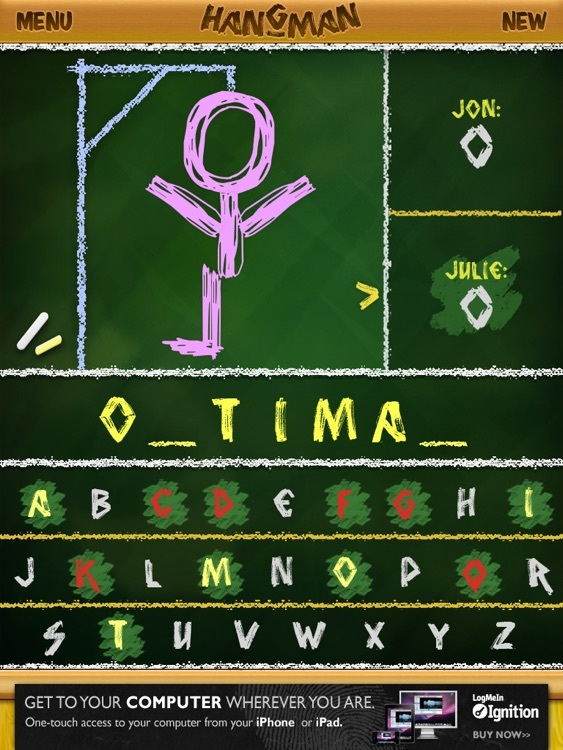 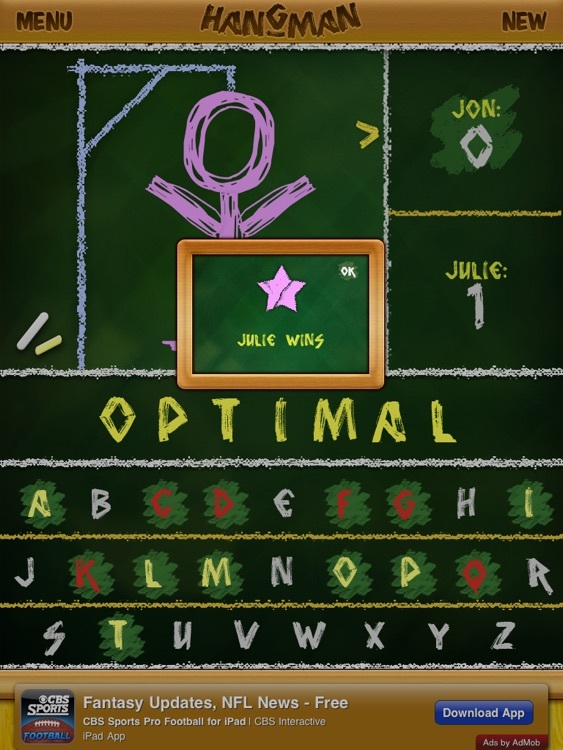 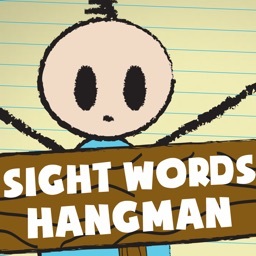 Playing with the Sight Words Hangman app gives your child an educational advantage over their peers. 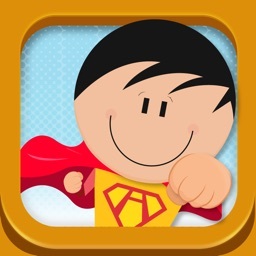 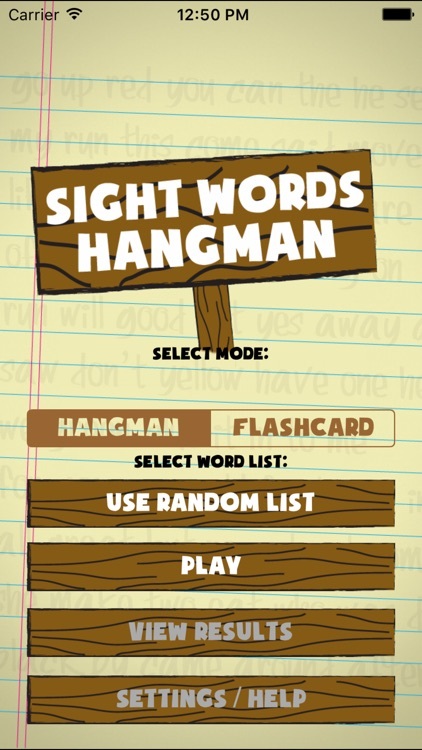 The Sight Words Hangman app utilizes 300 sightwords--the most commonly used words in the English language. 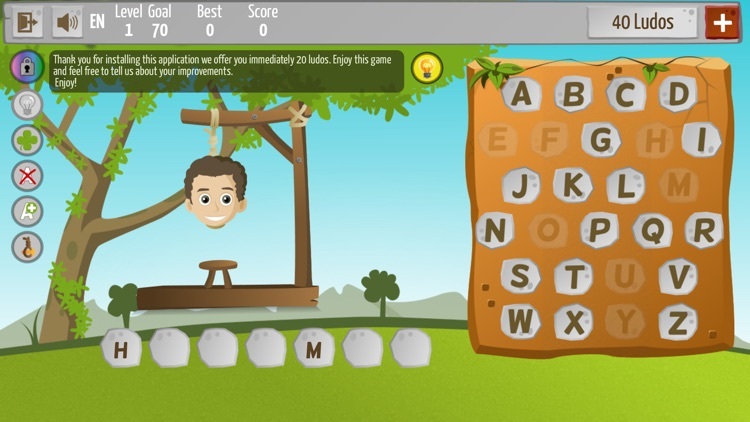 Sight Words Hangman entertains and engages your child, while increasing their vocabulary, spelling and reading levels. 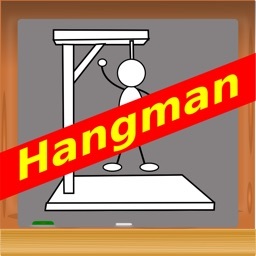 Hangman ! ! 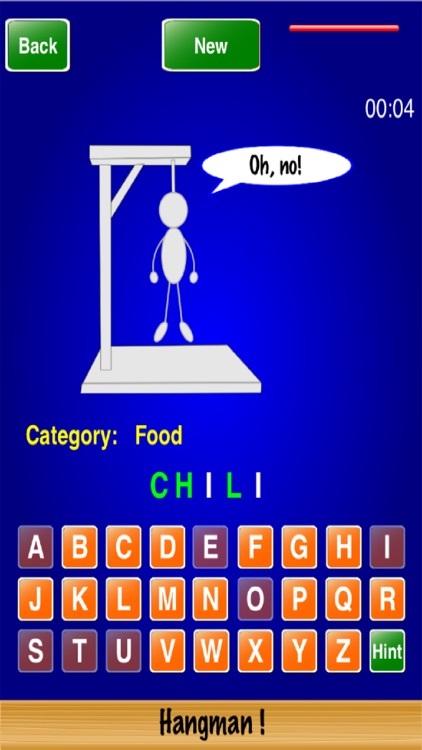 is a great way to test your vocabulary skills and have fun at the same time. 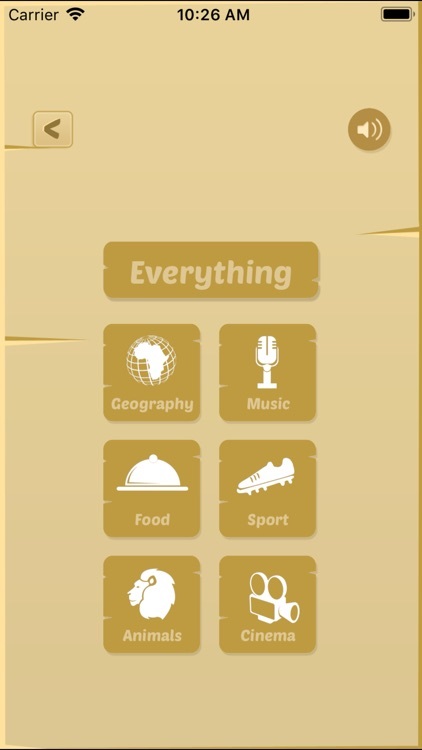 Select the category in the "Settings" screen. 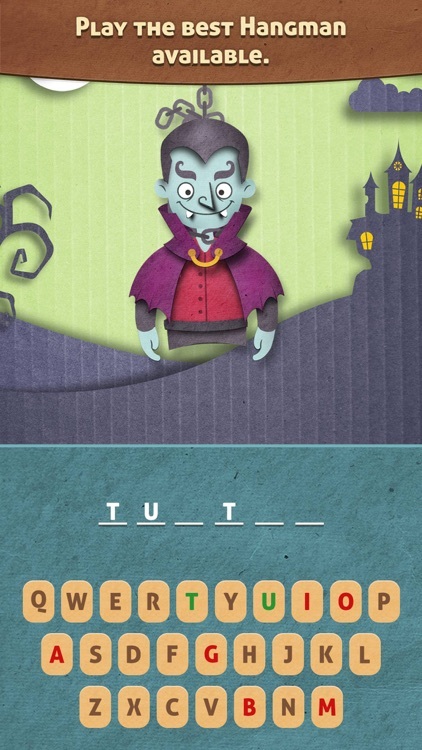 If you need help with a word, press the "Hint" button. 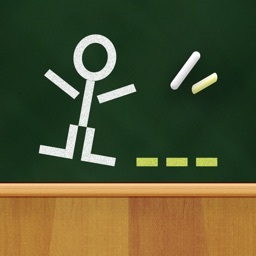 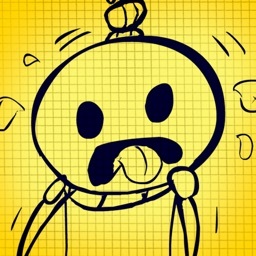 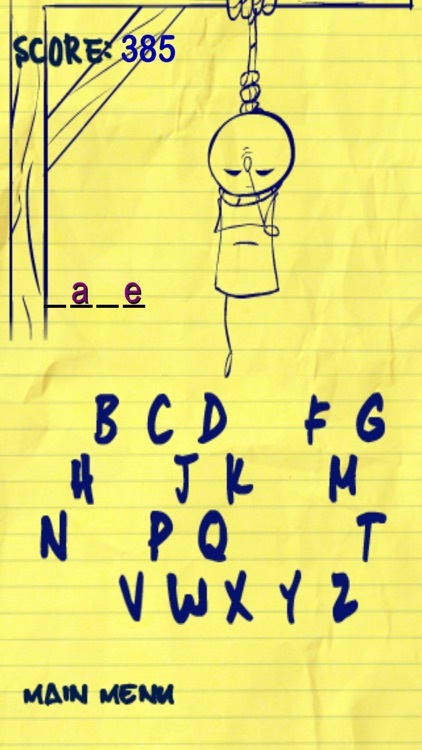 Play the most loved stick figure word guessing game. 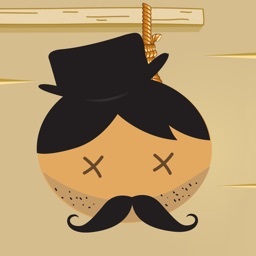 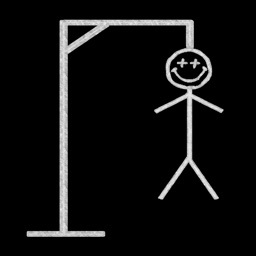 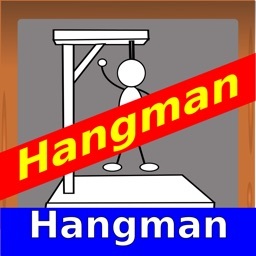 You must Save Mr. Hangman from hanging on rope by finding the right word. 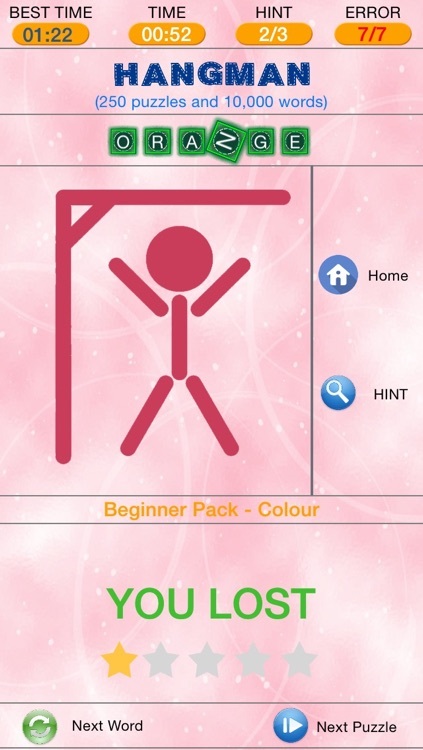 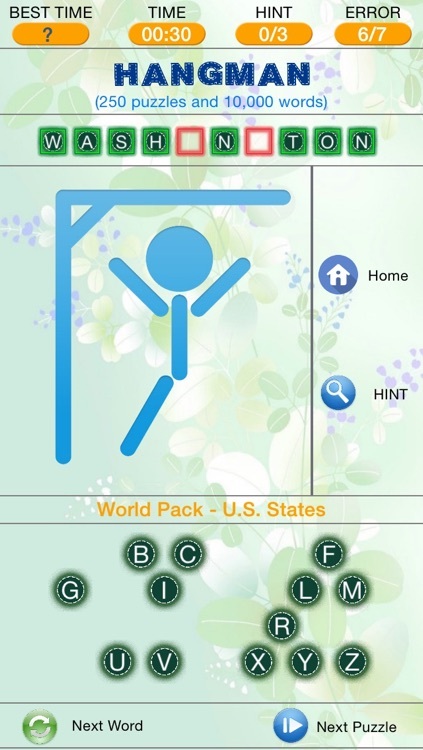 Answer some of the most mind-boggling questions in this fantastic word game- Mr. Hangman. 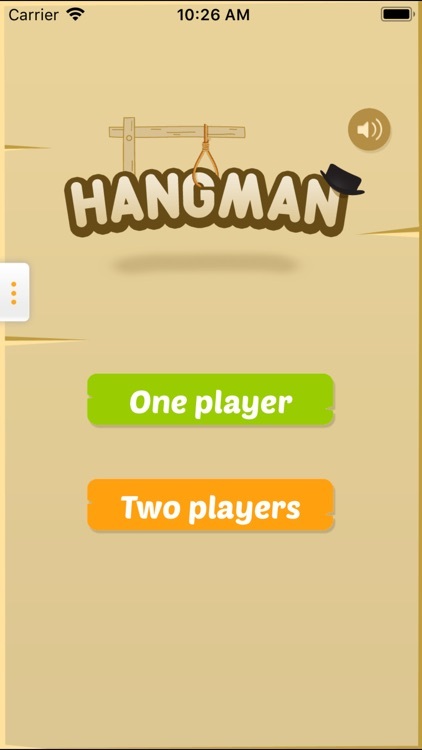 Hangman ! 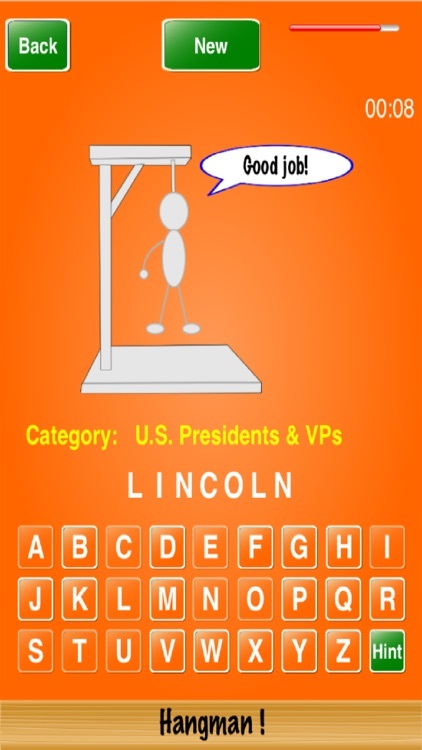 is a great way to test your vocabulary skills and have fun at the same time. 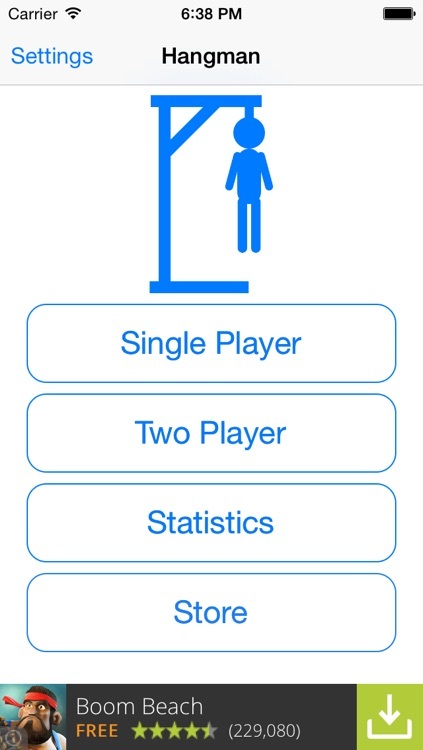 Select the category in the "Settings" screen. 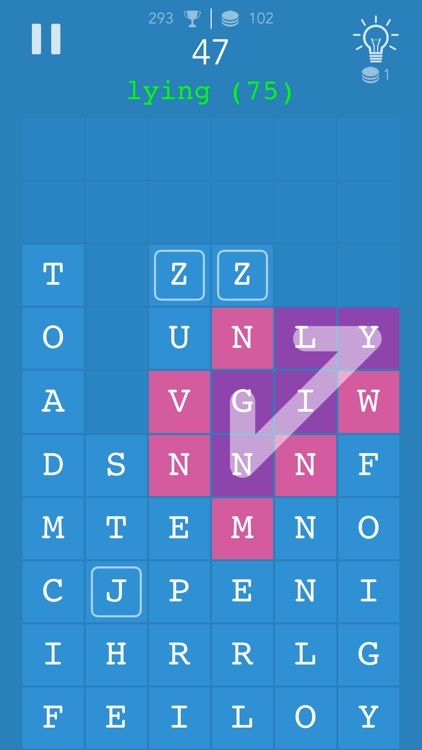 If you need help with a word, press the "Hint" button. 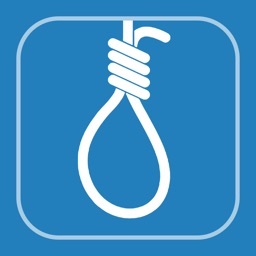 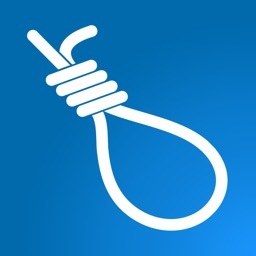 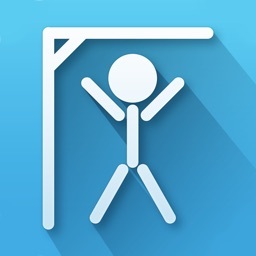 Hangman is a word guessing game based on the traditional hangman type game. 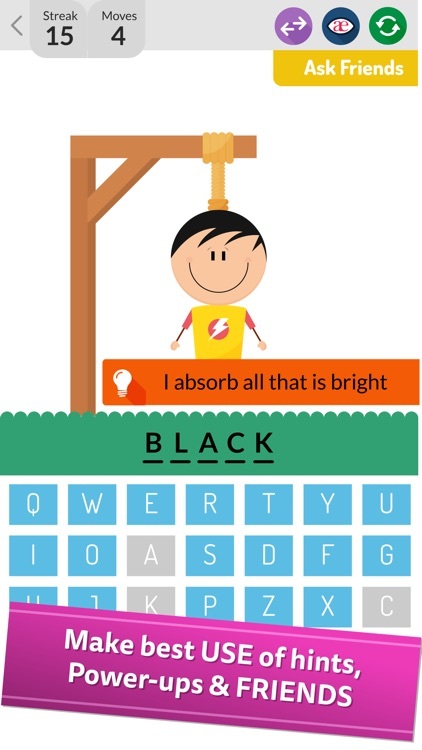 It will entertain you for hours and exercise your brain. 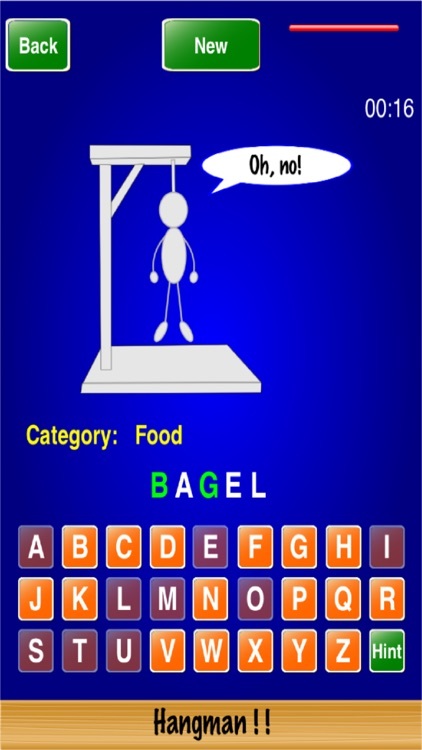 It contains thousands of words and 40 word categories! 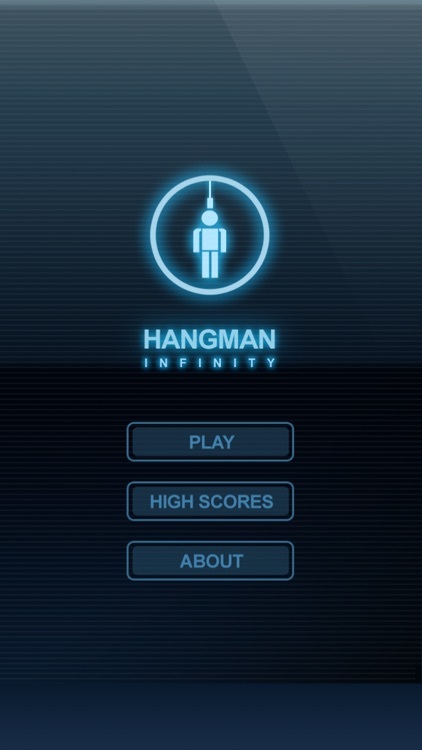 Hangman Infinity is finally here! 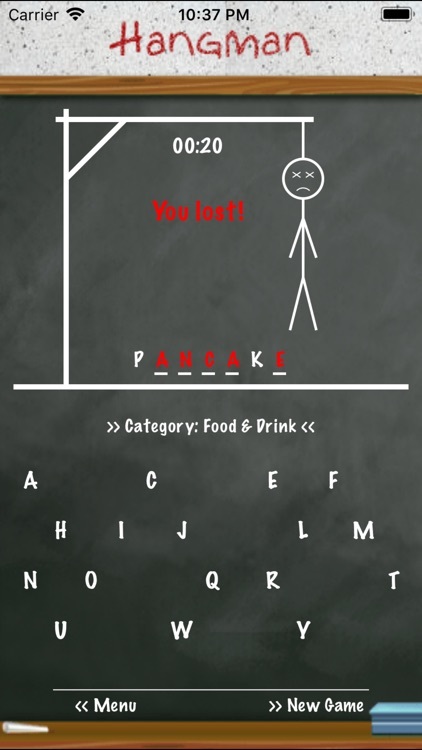 You've never played Hangman like this before! 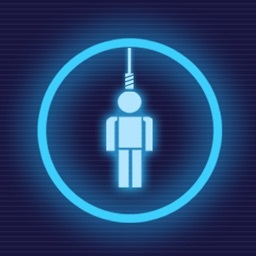 The world's most favorite and classic time-killer takes a digital twist of futuristic proportions. 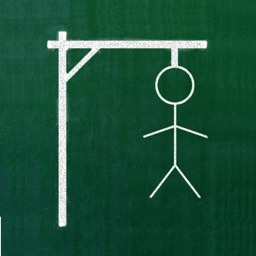 Set some time in the future, your mission is to save the virtual Hangman from becoming pixelated (dead!) 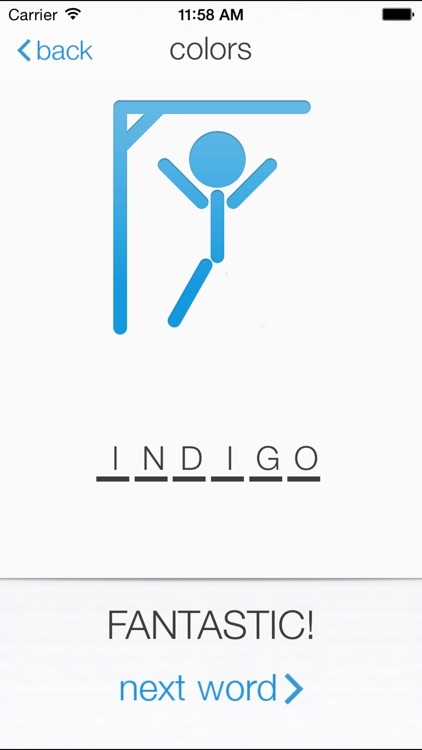 by guessing the hidden word correctly. 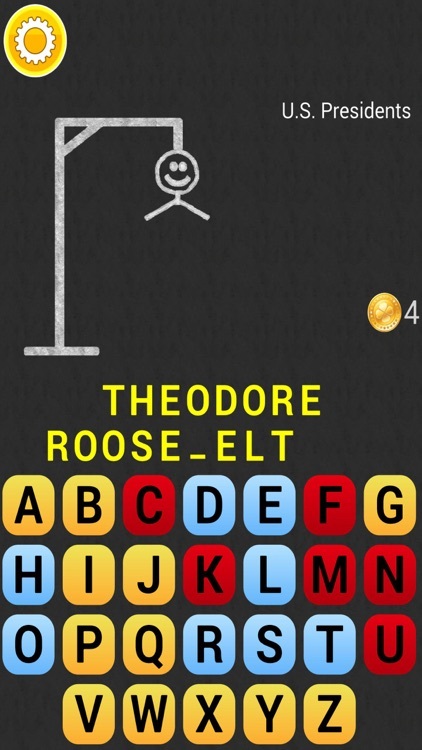 The classic game Hangman is a cool word puzzle game. 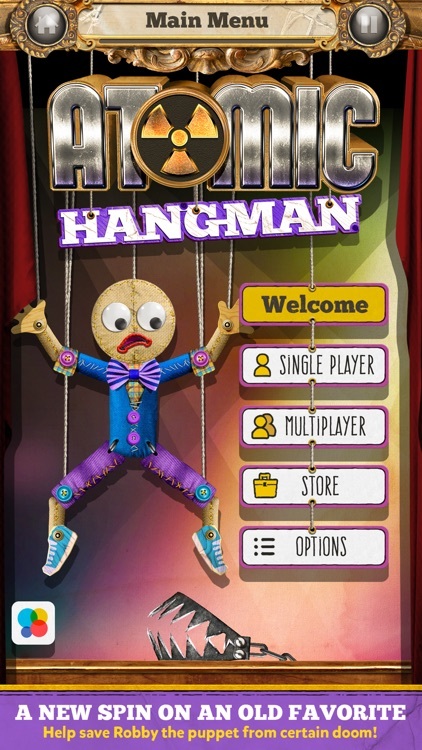 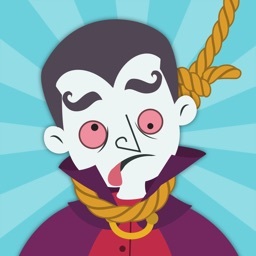 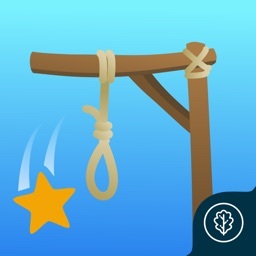 This hangman game comes with classic games that bring good gameplay and lot of fun.